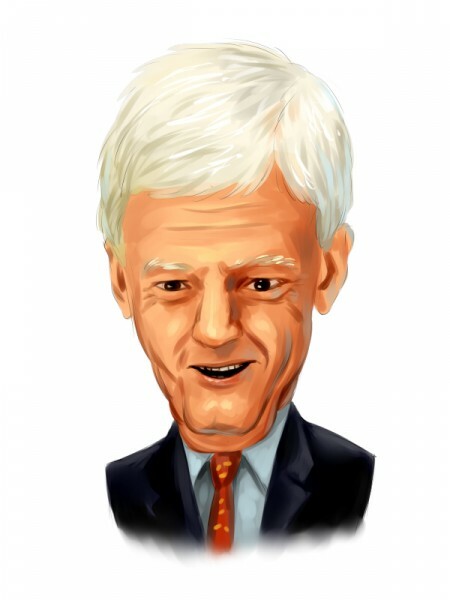 Billionaire value investor Mario Gabelli has a number of accolades under his belt, including the title of Morningstar’s Fund Manager of the Year in 1997 and the more recent awarding of The Institutional Investor’s Money Manager of the Year honor in 2010. His mutual fund GAMCO Investors currently has a public equity portfolio worth $15.22 billion, with around 29% of these investments being held in the Consumer Discretionary sector. Considering the 8.29% gains of the media industry over the past 12 months and GAMCO’s focus on the sector, let’s dig deeper into the mutual fund’s top media and communications picks, which include DISH Network Corp (NASDAQ:DISH), Time Warner Inc (NYSE:TWX), AMC Networks Inc (NASDAQ:AMCX), Twenty-First Century Fox Inc (NASDAQ:FOXA), and Scripps Networks Interactive, Inc. (NYSE:SNI). Why do we track hedge fund activity? From one point of view we can argue that hedge funds are consistently underperforming when it comes to net returns over the last three years, when compared to the S&P 500. But that doesn’t mean that we should completely neglect their activity. There are various reasons behind the low hedge fund returns. Our research indicated that hedge funds’ long positions actually beat the market. In our back-tests covering the 1999-2012 period hedge funds’ top small-cap stocks edged the S&P 500 index by double digits annually. The 15 most popular small-cap stock picks among hedge funds also bested passive index funds by around 53 percentage points over the three-year period beginning from September 2012, returning 102% (read the details here). During the September quarter GAMCO shed about 45,000 shares of Scripps Networks Interactive, Inc. (NYSE:SNI). Although down by over 20% over the last year, the stock price of the $7.68 billion developer of lifestyle content has risen by nearly 25% since October. RBC Capital Markets reiterated its ‘Sector Perform’ rating for the company last month and set a price target of $76 on its stock, which posits an upside of about 26% to its current price. However, Goldman Sachs is pessimistic about the company’s future prospects owing to its extensive exposure to advertising. Goldman double-downgraded the company to ‘Sell’ from ‘Buy’ in early October. Mason Hawkins‘ Southeastern Asset Management was the largest stockholder of Scripps Networks Interactive, Inc. (NYSE:SNI) within our database at the end of June, holding about 13.25 million shares. GAMCO trimmed its Twenty-First Century Fox Inc (NASDAQ:FOXA) holding by about 3% during the third quarter. The company today reported its earnings for its first quarter of fiscal year 2016, and the results disappointed the market, leading to shares sliding by over 7% in trading today. Analysts expected Twenty-First Century Fox Inc to post a decline on both its top and bottom lines on a year-over-year basis, owing to increased expenses in the original programming segment as well as the rise in sports contracts, and that was indeed the case. Jeffrey Ubben’s ValueAct Capital held about 44.58 million shares of Twenty-First Century Fox Inc (NASDAQ:FOXA) at the end of the June trimester. GAMCO’s top media stock picks are in the spotlight on the next page. Here’s Why Investors Are Bailing On These Four Stocks Today Why Are Shares of These Companies Surging Today? Billionaire Ken Fisher’s Top Healthcare Stock Picks Why These Four Stocks Plunged on Tuesday The Shoddy Results That Have These Four Stocks Plunging Today What’s the Deal With These 4 Slumping Stocks?